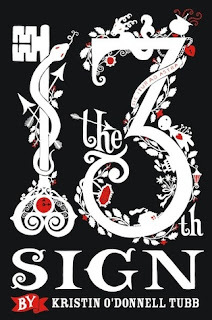 Abby the Librarian: THE 13TH SIGN Preorder Contest! Welcome to DAY CANCER of 13 Days of THE 13TH SIGN Preorder Contest! This is definitely a book I'm looking forward to reading, so I'm happy to participate in the 13 Days of 13 SIGNS preorder contest! So. What is this contest all about? 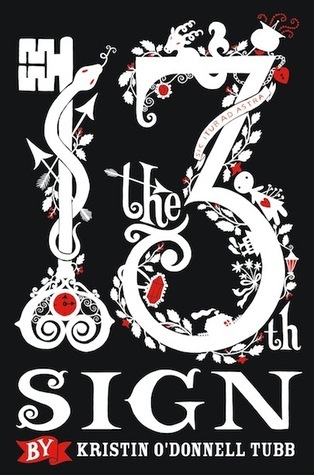 If you preorder a copy of THE 13TH SIGN by Kristin O’Donnell Tubb, you will be entered into a contest! Where you can WIN THINGS! And there are new prizes every day! And. EVERY preorder will be *matched* by a $1.00 donation to RIF, a literacy program committed to placing books in the hands of kids who need them most. What can I win TODAY? A Nexus 7 ereader! BOOM. The grand prize will be given away on Kristin’s blog (kristintubb.blogspot.com) on Friday, December 7th. Good luck! And don’t forget to take THE 13TH SIGN quiz!